Funidelia. 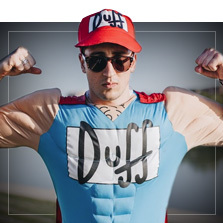 Your Fancy Dress and Halloween Costumes online shop. E-mail: Password: Forgotten your password? What do you want to buy? You are about to eat yourself! Or that's what they will tell you when you put on these food and drink costumes. 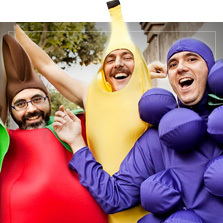 The most delicious and tasty costumes! 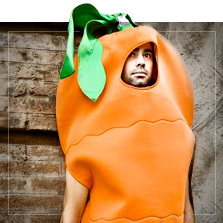 If eating is one of the things that makes you the happiest, you will love these food costumes. 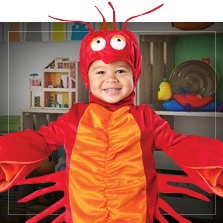 There are costumes for adults, for kids and even for pets. 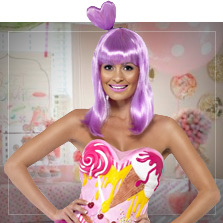 If you have a real sweet tooth, you will not be able to resist our sweet costumes like cupcake costumes or M&M's. 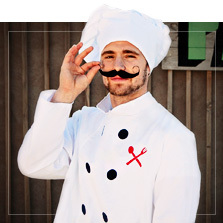 For more savoury costumes we have pizza costumes, hamburgers or fries. 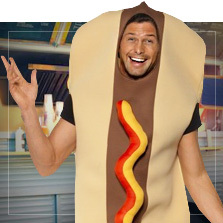 And if all that has made you feel thirsty, there's nothing better than a drink costume. Turn into a refreshing Coca-Cola, a delicious pint with a beer costume, into a champagne bottle to toast with everyone, or into a bottle of rum to have drinks later. 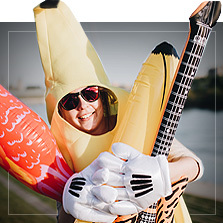 With these original costumes, you are bound to have fun! These food and drinks costumes are the funniest Carnival costumes. Mmmm... delicious! Includes: bodysuit printed with every detail. The product comes in an original metallic box which makes it ideal as a gift. Let me know when it's available: Size	""